Beautiful oval vase in mouth-blown glass. 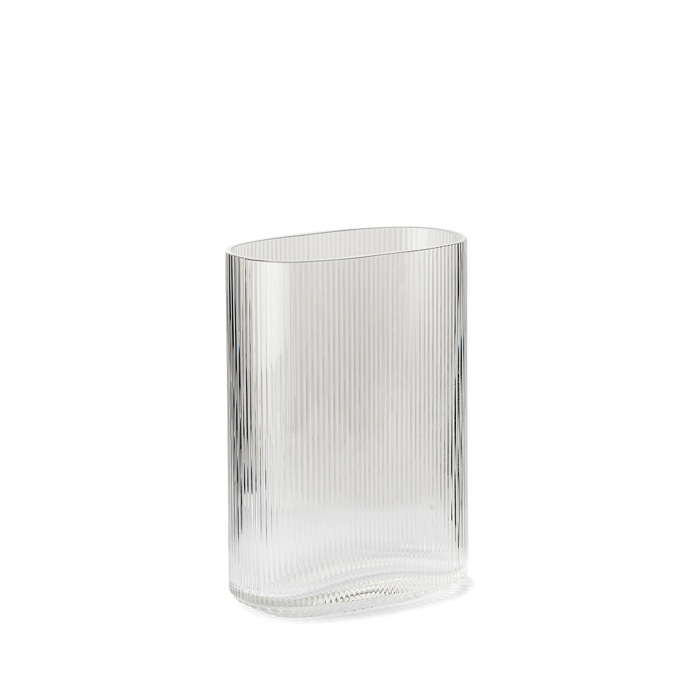 The Arctic Vase was originally designed in the 1960s by the acclaimed Swedish glass artist and silversmith, Gunnar Cyrén and is now being manufactured for the first time by Warm Nordic. 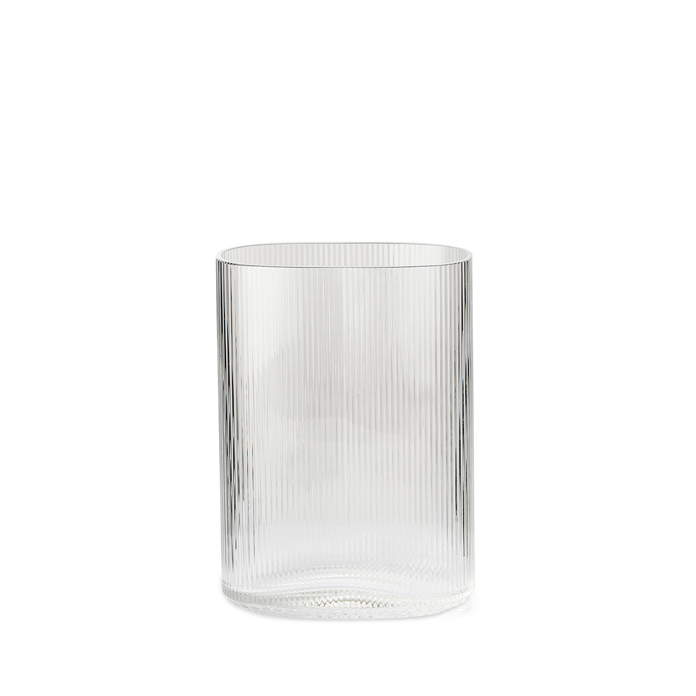 The Arctic vase is made in clear mouth-blown glass with fine grooves on the side and bobbles in the bottom, which lend a touch of exclusiveness and extra weight to the vase. 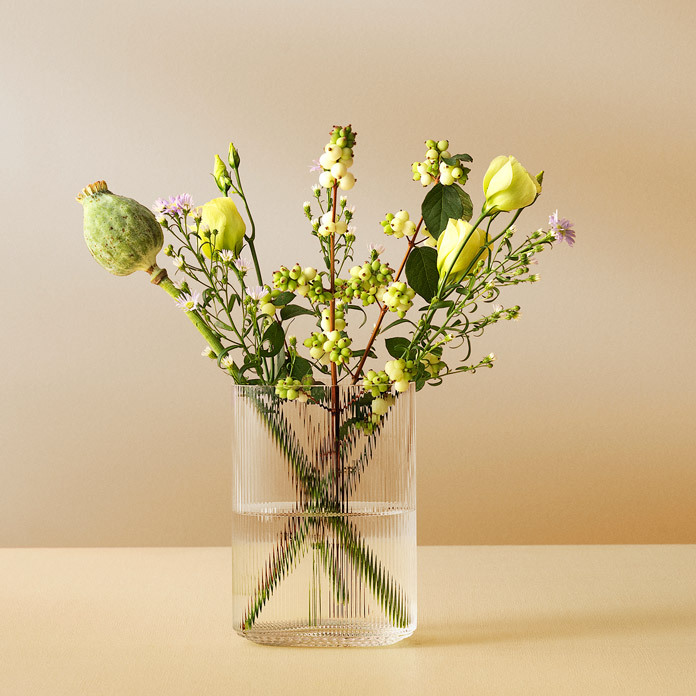 Its high quality and timeless elegance make the Arctic vase a stylish companion for classic bouquets, beautiful together with wild field flowers and sophisticated with individual twigs. 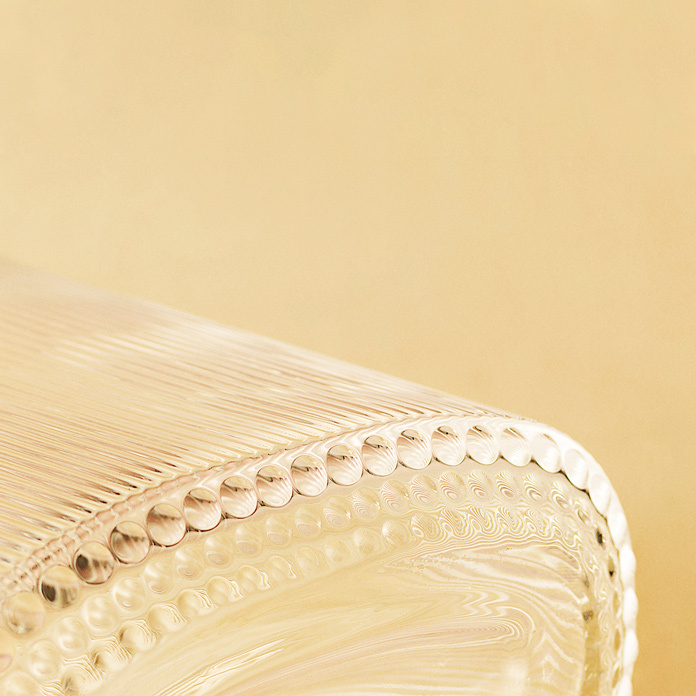 An exclusive, original vase from a heyday in the history of glassware. 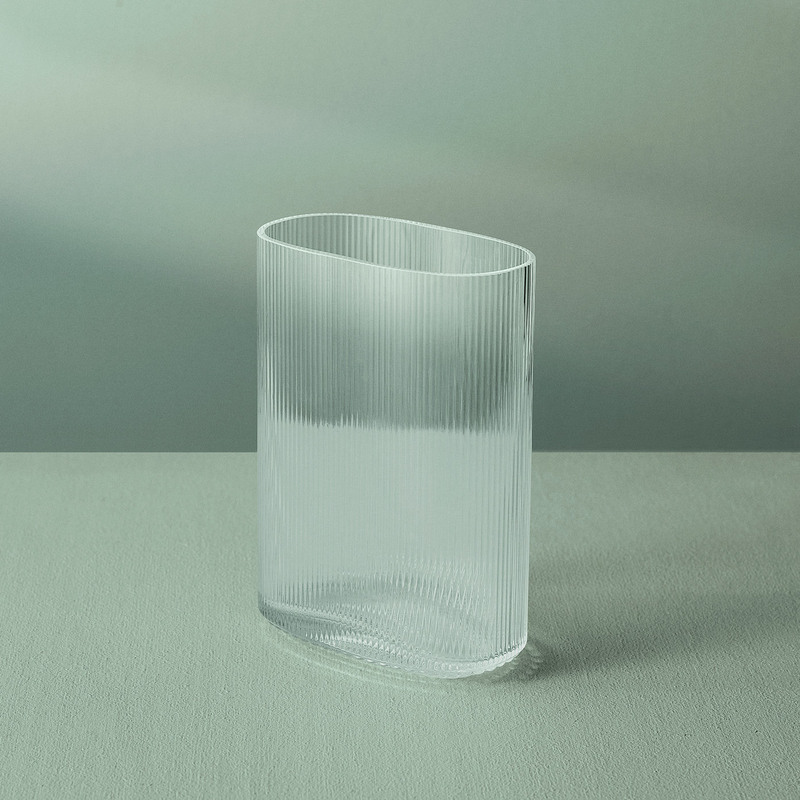 The exclusive Arctic glass vase was originally designed in 1968 by the master of glass, Gunnar Cyrén, who had a great affection for glass as a living material with infinite possibilities. A sketch for the Arctic vase was discovered in the attic of Gunnar Cyrén's family home and now, thanks to an agreement with his descendants, has been brought to life. The vase makes its mark with an elegant design, in which artistic sensibility and an understanding of craftsmanship come together in perfect harmony. Gunnar Cyrén loved the creative process in the glass workshop and regarded his work with glass as a landmark in his life's work. The Arctic vase has been specially selected for the Warm Nordic range as a tribute to iconic Nordic design that invests modern décor with invaluable diversity and depth.